Enclave Publishing have just posted a fascinating article by Chawna Schroeder exploring the concepts of AI from a Christian perspective, which may be of interest to those here. I've noticed, listening to his reviews, that Paeter tends to rebel against the ideas that movies want to portray, that AIs are truly sentient and sapient. I tend to be more likely to accept the conceit in-story that a machine can be "alive" irrespective of how that may or may not fit my worldview. For example, I right there with Data as he fought to be legally recognised as a living being in TNG "The Measure of a Man." But have we really asked the question? The article explores it a little from a biblical perspective. Interestingly, author P A Baines wrote two books exploring this concept, specifically, the question of whether an AI could find salvation. I recommend these books. Alpha Redemption and Alpha Revelation. In fact, I interviewed the author a few years back. A very interesting read. I have to admit it got me riled up a little. There are numerous points in there that I wanted to interject something she is failing to consider or factor in. So many that... gosh, I've got work to do, I can't present a line by line critique of this whole thing. But I can't just say nothing, either dangit! One problem, early on, is that she presents "the advanced form of AI, as proposed by fiction" as the idea we need to consider. But that isn't the right starting point, because fiction that treats AI as persons already makes a leap by assuming what physical sciences will someday be able to produce. It's also important to differentiate between properties of personhood an AI would potentially HAVE and those it would SEEM to have. She didn't do this, that I could see. Being a complex simulation of personhood able to fool every human being forever is not the same as BEING a person. I'm also skeptical about what she means by saying that genetically engineering a child "from scratch" is "a very real possibility these days". Citation would be helpful, as the data she's thinking of may not actually be indicating what she thinks it is. ("From scratch" in particular I want her to clarify.) I'm fine with allowing for a child made in a lab from the DNA of one or more people to be considered having a soul. But that isn't "from scratch", in the sense that an AI would be. "Because His grace is boundless, not limited to one people. In Revelation 7:9 it says “a great multitude that no one could count, from every nation, tribe, people and language” will stand before the Lamb and praise Him. Might not that include the “race” of machines?" So because AI are already a type of people, God would want to give them souls to make them people? You lost me. And yes, as she argues, God can do the impossible (though as a foot note we should clarify "that which is logically possible"). And God loves "displaying the riches of His grace and the depths of His mercy." But on that reasoning, we should expect him to extend grace and mercy to bricks and stones by giving THEM souls, because if he can, he would, right? Why not hope that God will also give souls to biological viruses, my cell phone and my grocery cart? I think because we are not emotionally invested in these things. By contrast, we sort of "wish" for real personhood to be given to the fictional AI characters we find endearing. Which I'm fine with by the way. I rooted for Data to be treated well, too. He's a fictional construct. So he's welcome to fictionally enjoy a fictional soul if writers want to give that to him. But if something like Data showed up in the real world, I would suspect he is merely a brilliant simulation of personhood, rather than a person. Why? Because while special revelation from God (the Bible) tells us we have souls, it doesn't say that AI does. So unless God updates the Bible or let's us know about new plans during his future reign with us, we shouldn't assume that either, no matter what the AI SEEMS to be like. "if AIs are capable of belief, might they not also become “children of God—children born not of natural descent nor of human decision or a husband’s will, but born of God” (John 1:12)?" But placing faith (in the biblically intended sense) in God requires the characteristics of personhood to begin with! So by this she is arguing that God would give these AI persons who believe in him the ability to become persons! Anyway, I said I didn't have time and I went on for a bit anyway. I appreciate this writer's desire to take a deep dive into this topic, and that she is also a dedicated student of the biblical languages. And despite my irritation with fictional AI being used often to promote naturalism, I've had and continue to have some affection for a couple AI characters. Okay, now I'm way behind my goals for today. Gotta go! I knew you'd have some thoughts. lol. AdamCollings wrote: I knew you'd have some thoughts. lol. LOL! Oh man, you know me too well. Would be so easy for you to troll me. Just remember, with great power comes great responsibility. It occurs to me that there are two different ways to approach this kind of discussion. 1) A genuine look at what is true/possible in the real world based on what the bible says. 2) Speculation, on a purely fictional concept, about how it might fit with a biblical worldview. 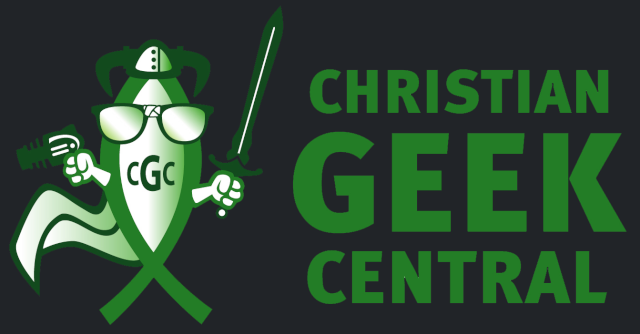 Christian geeks (certainly Christian geek authors) have a tendency to do a lot of (2). I've followed lots of discussions about whether the existence of aliens could be biblical. Those who argue for the aliens are not trying to prove that in the real world, there really are aliens out there, but rather trying to justify putting aliens in a Christian worldview story, because what's sci-fi without aliens, right? I suspect, but I'm not entirely sure, that the author of the above article was engaging in (2) rather than (1). The question is, should we hold both of these up to the same level of biblical scholarship? Is there a little more wriggle-room when telling a fictional story? AdamCollings wrote: It occurs to me that there are two different ways to approach this kind of discussion. This is a really insightful observation and a really valuable question! I think the difference between sci-fi and fantasy, is that sci-fi is an exploration of what is POSSIBLE, given what we know of the real world. Sure, authors imaginatively fill in gaps of real-world knowledge with speculation about what we might discover is real someday. But once scientific discovery contradicts an idea in sci-fi, that fiction becomes lessened in some way. For example, some of the earliest science fiction stories propose an entire civilization presently existing on Mars. But we know enough now to kind of laugh at those old sci-fi concepts of "invading martians". The concepts have to be updated to work with our updated knowledge. If not, then they become sort of "science fantasy" at best and fuel for mockery at worst. Personally, I think that if Christians are going to do science fiction, they need to try and write only what is at least theoretically possible. It doesn't have to be probable, but it should at least be possible. I really aimed for that myself with the Spirit Blade trilogy. The rule I set for myself was "it doesn't have to have a likelihood of being true, but it shouldn't ever be incompatible with scripture". As I look back, I'm not sure I succeeded at that in some of the finer points, but it was my aim. Sci-fi should have enough truth in it that we could rightly wonder "could this be how things are" or "could this be what will happen". But different degrees of reader knowledge will result in different degrees of perceived realism. In mainstream science-fiction I find some ideas that take me out of the story for their lack of realism. The same is true when I see biblical concepts being handled by a writer who doesn't seem to understand the Bible correctly in the way they are referencing it. It takes me out of the story. If you want to have a convincing world for the largest number of people, you should try to have as deep an understanding as possible of the subject you're writing on. Speculative fiction authors incorporating biblical concepts should be intentionally pursuing growth in biblical knowledge and should subject their work to evaluation by those formally trained in the responsible handling and interpretation of scripture. Additionally, when writing science fiction (rather than science fantasy), we're sort of asking consumers to believe that "this might be true". That being the case, it's vital we never accidentally ask consumers to consider believing something that is NOT true. So let's take a skyscraper view of machine learning as we know it. Many of our current AI models use games to teach machines how to interact both with the game and with users. Because the machine can iterate itself many times faster than a programmer can implement changes, game AIs can make titanic leaps forward that result in computational processes ("thinking") that the programmers don't understand and cannot chart. Given this, and given the current focus of Google Deep Mind on Hanabi as a learning tool (https://arxiv.org/abs/1902.00506), it's completely possible that we could see a "thinking" machine in our lifetime - that is, a machine that accepts input, reaches conclusions, and interacts in ways not possible to predict by examining the programming logic. Add lasers and some glowing gubbins and you have "true" artificial intelligence. This would be a machine that could potentially fit every definition of life that is currently accepted by the scientific community. Here's the conflict: humanism posits that true life is the end result of a process of natural law without regard to the origin of that process; Christianity posits that life is the result of a process's origin without regard to the end result of the process. To bring this question out of the realm of sci-fi: animals are unquestionably alive, form complex thoughts, build lasting relationships, and communicate with others like themselves and with humans. Orthodox Christianity teaches that animals are not created in God's image (with a soul) and have no original sin and so do not need to be redeemed. They are affected by Adam's curse like all the rest of the world, which explains why animals do not peacably coexist. My personal conclusion is that true AI would have spiritual equality with animals. Which itself could lead to a fascinating exploration of a being that is able to truly reason and communicate.